Over time, our faces can develop wrinkles and folds that show our age. Juvéderm® is a well-known injectable gel we used to fill smile lines and nasolabial folds (those lines that run from your nose to the corners of your mouth). This smooth-consistency dermal filler instantly restores volume, smoothing away the appearance of wrinkles and folds. Juvéderm is made of hyaluronic acid, a substance your body produces naturally to hydrate and support the skin’s structure. So the results you see are natural looking. Studies show Juvéderm produces superior results compared to collagen-based dermal fillers, and almost 90% of study participants said they preferred Juvéderm. Juvéderm injectable gel is FDA-approved and is the first hyaluronic acid dermal filler proven to be safe and effective for people with darker skin tones. Juvéderm injectable gel is the original product in what is now a family of specialized dermal fillers. Juvéderm temporarily replenishes volume, restoring a smoother, more youthful facial appearance. VOLBELLA XC is a newer member of the popular Juvéderm family, and we are proud that Raval Facial Aesthetics is one of only a few medical practices in the country invited to unveil this exciting new dermal filler. VOLBELLA XC is a smooth injectable gel created specifically to improve the appearance of fine lines and wrinkles around the mouth and to restore subtle volume to the lips. Dr. Raval believes this product will can also help reduce the appearance of acne scars. There is no other product like it available. VOLBELLA XC is FDA-approved, suitable for both women and men age 22 and older. Like other dermal fillers, it is injected using a fine needle. Treatments are quick and almost painless, and there is no downtime. One of the visible signs of aging that show on our face over time is a loss of fullness in the cheeks. VOLUMA XC is another injectable gel in the Juvéderm line of dermal fillers, created especially to add youthful-looking volume to the cheek area. VOLUMA XC also works to help improve moderate to severe signs of aging such as wrinkles and folds around the nose and mouth. VOLUMA XC treatments are fast, and there is no downtime. As with all dermal fillers, results are temporary because eventually the gel is absorbed into the body. However, VOLUMA XC is particularly long-lasting – up to two years in some patients. VOLLURE XC is the latest addition to the JUVÉDERM family of products. VOLLURE XC gained popularity in Europe before being FDA-approved and introduced here in the US. We use this hyaluronic acid-based gel to improve the appearance of moderate to severe facial wrinkles and folds. Whereas VOLUMA XC and VOLBELLA XC primarily target the cheeks or lips, VOLLURE XC is formulated to restore volume to nasolabial folds – the creases that show up between our nose and corners of our mouth as we age. However, although this is the main treatment target, VOLLURE XC can also be used to address other noticeable facial lines and wrinkles. Allergan, Inc., a multi-specialty healthcare company. What Are the Benefits of Juvéderm? Juvéderm improves your appearance by lifting and adding volume to reduce visible wrinkles and folds in the treatment area. After six to nine months, the biocompatible gel is naturally absorbed into the body. Juvéderm injectable gel will help to smooth moderate to severe facial wrinkles and folds. Most patients need only one treatment to achieve optimal wrinkle smoothing. However, individual results can vary. 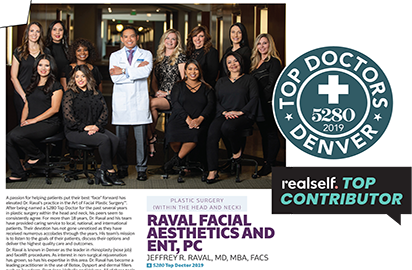 Dr. Raval will recommend a treatment plan – including how often you may want refresher injections – based on your personal skin and goals. What Is the Clinical Experience Behind Juvéderm? Juvéderm is a hyaluronic acid (HA) filler FDA approved to last up to 1 year and VOLUMA XC is the only HA filler with approve duration of up to 2 years. The smooth consistency gel replumps the skin, visibly erasing or reducing the appearance of wrinkles and folds. The most popular “targets” are smile lines and the lines and the folds that develop between the nose and mouth. Juvéderm is made from hyaluronic acid, which is something our skin naturally produces on its own, so this dermal filler is not only safe and effective, it produces natural looking results. What Does Juvéderm Treatment Involve? Dr. Jeffrey Raval and our Paramedical Aestheticians are highly trained and skilled in using Juvéderm. They use a fine needle to precisely inject the gel. The exact amount of gel used and the placement are custom-tailored to each patient, ensuring you get just the amount of change you want. We use Juvéderm to address facial wrinkles and folds, in particular those around the nose and mouth. The clear gel is injected into the mid- to deep dermis, subsurface skin layers that contain connective tissue, nerve endings, sweat and oil glands, and blood vessels. How Long Does a Juvéderm Treatment Take? The injection process takes only about 15 minutes. However, you should also allow time to consult with Dr. Raval prior to treatment. Any injections may cause some discomfort during and after the procedure. Juvéderm’s smooth consistency makes it easy to administer smoothly. We use a fine needle to reduce injection discomfort, but Dr. Raval may choose to numb (anesthetize) the treatment area to further minimize discomfort. Is There Any Downtime With Juvéderm? There is little to no downtime, and you will see results immediately. Are There Any Risks With Juvéderm? There is a small risk of infection (as with any injection procedure). Because of the biocompatibility of hyaluronic acid, Juvederm carries little risk of allergic reaction. Are There Any Side Effects With Juvéderm? Most side effects are mild or moderate in nature, and they usually go away within a week. The most common side effects include, but are not limited to, temporary injections site reactions such as redness, pain/tenderness, firmness, swelling, lumps/bumps, bruising, itching, and discoloration. As with all skin injection procedures there is a risk of infection.